Another piece of the central city puzzle is falling into place, with the opening of the public space through the East Frame (now we wait for the residential developments to accompany it). 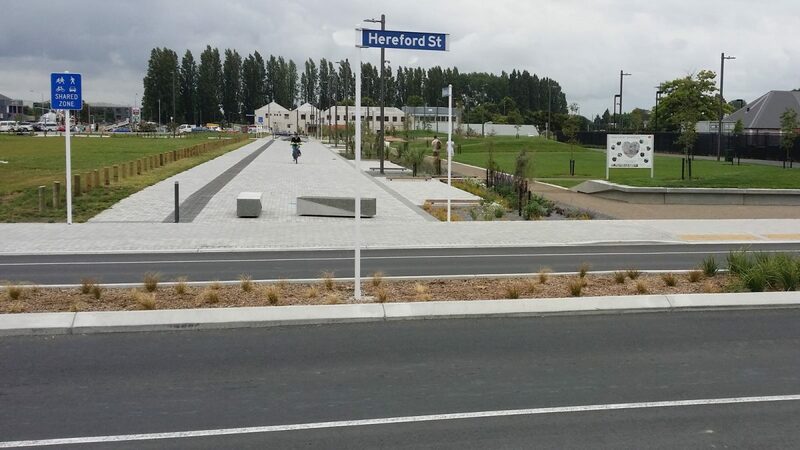 Dubbed Rauora Park (the name meaning ‘well-being’), this corridor provides some shared pathways north-south connecting Margaret Mahy Playground and the North Frame with High St and the South Frame. Already I’ve used it a couple of times as a handy way to connect to various central city destinations. 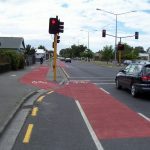 At the south end it leads past Dux Central directly to the Tuam St and St Asaph St cycleways. At the north end it connects to the pathways along the Avon River and ultimately will join the Oxford Tce riverside shared space currently being constructed. 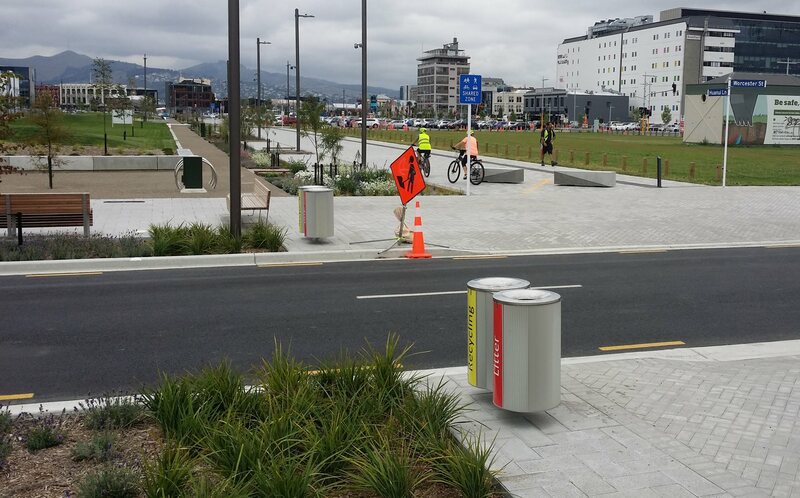 Those coming in from the east can use the new Rapanui cycleway to take them straight there along Worcester St.
I’m still not convinced about some of the little details (e.g. inconsistent use of kerb ramps, sharp dark posts that look like an accident waiting to happen…), but overall it’s a nice mixture of greenery, urban space, and useful connections. Have you visited Rauora Park yet? What do you think? I’m a big fan of the 2 Basketball half-courts and the accompanying green-space. The cycling is ok, certainly more inviting to the uninitiated than riding on Manchester Street (though to be fair – a 30km speed limit means its not exactly scary in the central city these days). The full Rapanui Cycleway is looking like its gonna be a great addition – they’re digging a channel between the trees on Linwood Ave at the moment which’ll be brilliant, plus the Ferrymead to Redcliffs section is already ace. I’ve really been enjoying Rauora Park recently as an alternative to navigating the roadworks/traffic on Manchester. You can imagine how wonderful it will be when there’s lots of houses either side.